RESTON, Va., Dec. 03, 2018 (GLOBE NEWSWIRE) -- Internap Corporation (NASDAQ: INAP), a global provider of performance-driven, full-spectrum data center and cloud solutions, announced today an early completion of the first phase of its 2018 Network Transformation Initiative. INAP’s new Global Network Services team officially launched this initiative in May 2018 with plans to re-architect the U.S. and international networks. 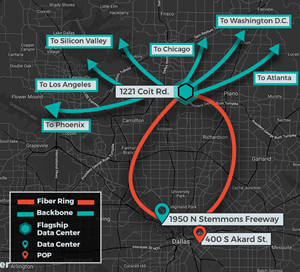 Phase 1 included the addition of an express “core” ring and the re-design of six major metropolitan markets to bolster capacity, increase connectivity, and enhance protected services for INAP customers. Execution of Phase 2, which includes additional market expansion, is currently underway. The newly lit network sparked the launch of several new Connectivity Solutions products, including Metro Connect and Network Connect, which allow connectivity within markets and between INAP’s global data centers and POPs. This developing suite of products, combined with INAP’s patented Performance IP route optimization software, creates a powerful global network that differentiates INAP from its competition.